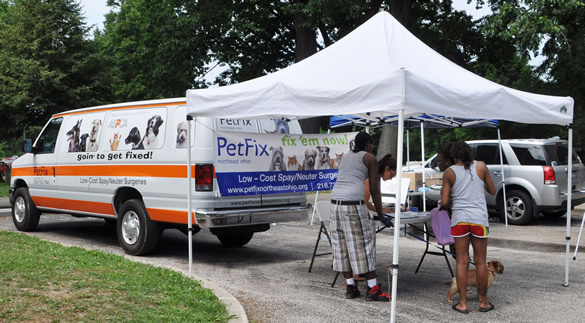 PetFix Northeast Ohio is a 501(c)(3) non-profit organization that provides high quality, affordable spay/neuter surgeries to end pet homelessness and the need for unnecessary euthanasia. We provide spay/neuter surgeries to all pet owners, feral cat caregivers, shelters, rescues, and animal control agencies placing animals for adoption. The PetFix medical team has altered over 60,000 dogs and cats, preventing hundreds of thousands of animals from ending up in shelters or living as strays.